Interlocutor: It's good to hear you. Morganel: I send to you all the Light, dear sister. I feel happy, joyful to talk to you through this vessel, whose Thetan is my spiritual brother. Interlocutor: We truly missed your messages and I appreciate very much that you are here with us. Would you like to tell us something? I have some questions we can start with. Morganel: You can start and ask the questions, dear sister. Interlocutor: What is your opinion about life? What is life for you? Morganel: Are we talking about physical life? Morgan-El: For you all physical life is a mystery because, suddenly, an inanimate object can reproduce, grow, feel. Let us temporarily ignore about the spiritual world, where we know that every being, even the smallest being has a thetan. Physical life is a series of combinations that are suitable so that they allow that a fraction of the spirit embodies, and that fraction of the spirit is the one that gives life. But it’s not so simple as it sounds because there are inanimate particles, like a rock in which a spirit has no place to embody there. Morganel: …A biological unit, but it’s also necessary a suitable mental decoder to transmit a certain concept. It was said, but very rarely, and perhaps you have not taken into account that whenever you speak about spiritual entities you speak about complex spiritual entities. Interlocutor: ... those are the entities that embody in biological units that have a more developed cortex. Morganel: It was a dominant reactive mind over the analytical mind. But it also allowed the incarnation. Interlocutor: In any case, it was necessary that this should happen this way because otherwise there would be no evolution and there would be no species as we have today and there would be no man as well. Morganel: Correct. But I wanted to go for another route. There are other spirits less conceptual in the superphysical planes, so-to-speak, and spirits that have almost zero for concept. And maybe this is a new paradigm that says: In the physical plane the 'wilder' the being was the more reactive mind the hominid had in the amygdala and less analytical mind he had. Is that understood? Morganel: The spirits that have almost null concept are based on instinct as well. Let’s say: The spirit is an energy that has a conceptual core and you yourself, in the physical plane, if you have that gift or that ability to concentrate, you can see the spirits as traces of light, unless they want to present themselves in an anthropomorphic way to be recognized. But there are spirits whose conceptual center hardly exists and it’s an energy center. And that energy is an instinctual energy. The more abstract the mind is, the greater the spiritual concept. The less abstract the mind is, the concept is more instinctive, if you understand that phrase. So obviously, the spirit of the homo sapiens in your world, where I’m incarnated as a spirit, has a wider conceptual mind. The spirit of a fly, for instance, is almost instinctive, just like the spirit of a worm. And so on. Even the smallest microorganisms have a thetan. Interlocutor: Could you give us any comment about something we do not know about the undivided mind? Morganel: Yes, of course. We, as spiritual beings, are part of the Everything, to whom many of you call the Father, God, the Absolute. We, as Masters, call him Eon. Eon is the Everything in this Universe. Eon is the manifested universe and we are his particles. All our thoughts belong to us thanks to the divine Free Will, but that does not mean that they don’t belong also to God, the Father, the Absolute, Eon. As spirits, we have the ability to perceive through the divine Essence of the Father, the total thought. Obviously with our own limitations, as spiritual beings that we are, as well as our 10% spirits embodied in biological units. Interlocutor: There are two possibilities: two individuals that don’t know each other and who live in different parts suddenly have the same idea, Could it be that their thetans are in contact with each other? Morganel: It is easier that both of them have grasped the idea, which is 'floating' in the superphysical planes. Interlocutor: I have always maintained…and I would like that you could give me your opinion- that the man has human knowledge, skills and experiences, given his experience in this physical plane. That knowledge can be proved of refuted by physical evidence, in some cases it becomes scientific knowledge and in other cases it’s demystified. Morganel: Correct. If it’s refuted it’s demystified. Interlocutor: But I always believed that there is a universal knowledge, which goes beyond our own existence as human beings. The second possibility would be that these two individuals perceive that knowledge and - let’s say that they live in two opposite-islands-. Would it be something like what you mean? Morganel: Latent but contained in the Father Eon. And you have the gift, we have the gift, the ability, the quality to grasp it at once or not necessarily at the same time. And sometimes, it can be that –giving an understandable example- two separate people by miles from each other can reach the same discovery. Interlocutor: They reach the same conclusion. Morganel: They reach the same conclusion regarding a particular topic. Yes, That’s it. Interlocutor: So, you confirm that what I thought that there is greater knowledge than us as a species. I mean that it exist in the superphysical planes and, somehow, we're going to rediscover it, being like a discovery for us. Actually the idea, the concept already exists. Morganel: Yes, It’s a rediscovery. Interlocutor: When we are being prepared some people will perceive that concept. Is that so? Morganel: Yes, right. When you have found your size, your suit fits you, if you understand what I mean, dear sister. Interlocutor: Perfect. After this we will continue investigating, asking about this idea, and perfecting it. But we already know where the idea comes from. What do you think about the life-span of the species? Obviously there have been many advances in DNA studies, but there are many issues yet to be discovered. Is there something we are missing about the duration of the species? Morganel: I understand that in each world, biologists are studying genetics and they can be discovering the reason for the duration of each individual of every race and every race in particular. What they are already envisioning in your world, Sun 3, where my 10% is embodied, is that they can measure the life-span of each biological unit. What they have not yet discovered was revealed many years ago by this vessel. That is, the life-span of the species, of every race. And that's not in the DNA, but in the RNA, the ribonucleic acid. This is a topic to be deepened further and I invite you, if you want to, dear sister, to hold an in-depth session only to talk about this topic because it is an issue that will take some time. Interlocutor: It is a very interesting topic. Interlocutor: … how the process is. Morganel: ... How the process is and why some species become sterile and why some other species are still evolving. Morganel: Perhaps for a future session. Interlocutor: A future session. Another question: we, as individuals who live in this world, sometimes we see the light of a distant star and when we perceive that light in that moment, perhaps that star is no longer there. I mean, the speed of light, given the distance we are talking about, perhaps this star or comet is no longer there. We perceive the light, but perhaps the star now is no longer there. Morganel: Let’s talk about a star that, according to the distance may have become a supernova or a neutron star and here in Sun 3, you are still perceiving that light or your telescope grasps the light due the great distance that separates you from it. Interlocutor: Now, if we observe the universe and - According to our scientists- we observe that the universe is still expanding, the question I have is: Is it possible that the universe has already begun to contract at some point? That at some place that contraction has begun, in the same way that the star is no longer there, but now we see it as a matter of time that it takes time to perceive the image. Is it possible that the universe is beginning to contract and we are still seeing the expansion? I do not know if you understand my question. Interlocutor: A kind of cracks? Morganel: No cracks, but points of contraction, like pleats, but they are minimal. It doesn’t mean that that part is not expanding, it only delays the accelerated expansion, but there is a kind of contraction until the same inertia that comes from behind pushes back again the same universe and the expansion continues. But there are parts where the expansion is delayed. But no, the time for the contraction of the universe has not yet come. Interlocutor: Are we there yet? Morganel: The universe needs thousands and even billions of years until the dark matter starts working and the process of contraction begins, the contraction of the universe will be also accelerated, in order to provoke a new Big Crunch or a new singularity, where the Absolute will stop being manifested until a new Creation appears again to be manifested. Interlocutor: Is there artificial life in other worlds? Morganel: Science has advanced so much that in your world, Sun 3, there is what you call Prosthesis. I don’t speak about organ transplants, but artificial prostheses. And even some scientists are experimenting -and this may be a scoop- with synthetic DNA. Not only here, on Sun 3. They are experimenting with artificial DNA in other worlds more advanced technologically and biologically. There are great genetic breakthroughs already, where people have a brain problem, as Johnakan Ur-El use to call it mental decoder, and they have reversed moderate and severe neurological problems through artificial DNA. It may be very difficult to explain even to this vessel, but they have replaced atrophied neurons by neurons created from artificial DNA. Interlocutor: And this is from stem cells? Morganel: No, directly with chains of deoxyribonucleic acid that artificially in Sun 3 is called AXN –They reached to create large neural networks that go directly to completely modify a neural system in a mental decoder. Interlocutor: What would be the messenger RNA. Interlocutor: I studied a lot in this life something I love and I cannot assimilate. And, well, I've been studying about the issue and I have a theory about RNA, which I always considered it as an exact copy of the DNA, it lacks of some amino acids and that is why it allows it to leave or pass through the membrane of the nucleus and then in the cytoplasm, possibly with the input from the function of mitochondrion and other cytological elements, becomes activated, with those amino acids that are missing, and complete the chain to be exact to the DNA that is within the nucleus. That is why they no longer can pass through the nuclear membrane. Interlocutor: Obviously one would have the basis for the development of tissues that will form the basis for the development of organs and perhaps, at some point, instead of having prosthetic legs or arms we would have artificial limbs, but with human appearance. Interlocutor: Created by the man. Morganel: Of course. Sure. And finally, in order to not exhaust so much to the vessel, your religion, because not in all the worlds there are religions. Religion would say that it’s unnatural because it would be against the "divine laws". It is a big mistake, because life is spiritual and not physical. Then, as it was anticipated many years ago by the brother Johnakan Ur-El, all the biological units that have a mental decoder unit to accommodate a 10% of the spirit would allow life. Morganel: Sister, it was a joy to talk to you. Interlocutor: I enjoyed very much to share this conversation with you. Morganel: And you know that there are many things that have been-left pending. Ha ha! Interlocutor: But there are always many issues that we will be able to talk about. Morganel: And that's very valuable. Isn’t? Interlocutor: Yes, and all the information that you can provide, from your experience as a Thetan, and all your knowledge and all your memories you have. So your input is very valuable. Morganel: All the Light from my plane 5 sublevel 9 and also to your thetan, Kar-El, my sister, plane 6 sublevel 5. Thank you. Interlocutor: All the Light to you and for your 10%. So long. Ruanel: Scientists are still thinking in biology whether the virus is a form of life or not. 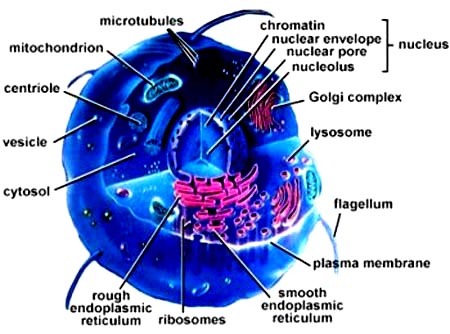 Many people say: “No because it has no nucleus and it cannot reproduce by itself, since it requires a host to be replicated” They are right. Other people say: “Yes, if it has life it can reproduce, because a rock cannot reproduce by itself" They are also right. This means that the virus is between ‘life’, as biologists know it, and organisms at the edge of life. Interlocutor: But the virus doesn’t have a thetan? Ruanel: The virus has a minimum thetan. Therefore, to us in the spiritual world, it has life. Ruanel: What I meant is that many biologists on Earth consider that a virus has life because it reproduces and others consider that it has no life because it does not reproduce by itself. The coherent thing, the logical idea is: if it reproduces, it’s alive. All life forms that reproduce have life, whether they need a host or not. There is another issue that infects as much as a virus and it’s more difficult to fight: the prions. You all can investigate fully in treaties, in several books on the subject, there are studies conducted on prions. There are extraterrestrial prions that many millennia ago have mutated the DNA in order to create new species. That issue has been approached by Johnakan, this sublime Master, on several occasions and even the Master Morganel has talked about it too. Interlocutor: Okay. I'm going to read about it in order to ask for the next session. This entry was posted at Sunday, July 01, 2012 and is filed under Morganel, Paradigms . You can follow any responses to this entry through the .